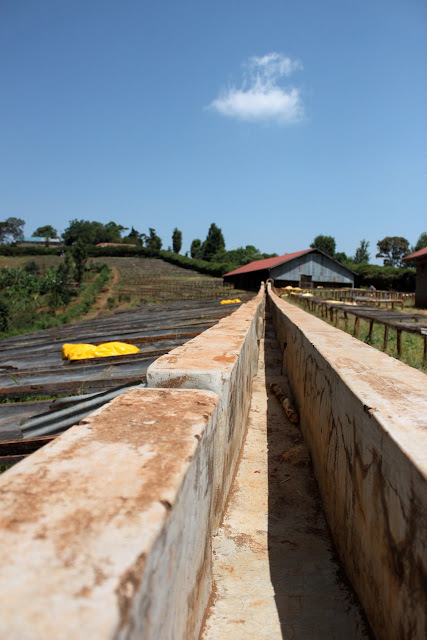 On Wednesday June 9th at 16:00 o’clock we’re proud to present two new Kenyan coffees! Casper and Linus spent a week in Kenya in February visiting different mills and societies just as the harvest had been completed, but before any of these coffees were snatched up by others. You can read about their trip here and here. So join us on Wednesday at 16:00 when the two new coffees will hit the shelves and we’ll be offering free samples brewed on French Press. Linus and Casper will show pictures and tell about their trip and how we source and buy coffees. At 17:00 we’ll be doing an open cupping session of these new coffees where we hope you will join in. We’ll be back with more info about these coffees and new labels for them in due time. I urge you all to taste these Kenyans. They are lovely.